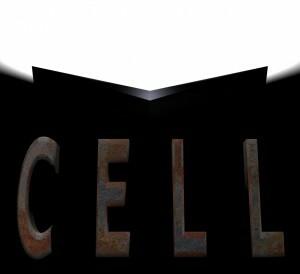 How did you come up with the idea for CELL: The Web Series? Long story but I’ll try to make it short. I was working on developing a TV show for a local production company when the producer backed out of the project. After that I really started evaluating writing all of these scripts and never seeing anything produced. This was a few years ago and I started to look into the idea of web television. I studied up on it and decided that I wanted to write something specifically for a web format. I came up with the idea of CELL starting purely with the premise of one location and minimal characters. The rest just developed from there. How did you go about making it once you had the idea? How long was the process? I probably wrote the first draft of the show in a couple of months at night. From there I sat on it until I finally decided to sit down with my screenwriter’s group and do a table read. The response was really strong and they encouraged me to shoot it. So I started a production company (Lovable Varmint Productions) to focus on web content. From a practical standpoint, I’m really fortunate that Austin has a great indie film scene. I found the Austin Film Meetup and met some great people there with solid production experience. There’s no way I could have done this without the people that I met there. I worked closely with some of the people I met there and we started pre-production. It took a few months after that to get a crew together and finally start shooting. We shot all 72 pages in about 13 days so it was a marathon. It was a really quick process and I learned a LOT from that experience… namely not to do it that fast again. That and make sure you don’t have too much soda for craft services. Where did your inspiration for the characters come from? I’ve always been interested in people “finding themselves.” From that idea, these characters just popped up. I’m not sure there’s any specific inspiration for them, other than the occasional call out to something similar to Whedon or Abrams. Did you always envisage it as a web series? Yup. This was written specifically for the web and designed to fit in that format. I guess it could be cut into a feature, but I don’t think it works like that. Do you watch any other web series? If so, what ones? Oh yeah. There are so many it’s hard to keep up with the new ones, especially while I’m working on my own post-production. So I know I’ll leave some out. But I’m a big fan of The Guild. I also like, Infamous, Son of a Pitch, &Blue Movies. There are some others I just haven’t gotten around to yet… likeTyranny, Fissure. I’m also looking forward to Zimm: The Series, Continuum, andSOLO. I know I’ve missed a lot. Some people have compared it to the Saw series with the idea of being trapped; will it become as sinister as them? Is there going to be any notable guest stars this series? Not unless they film on green screen so I can insert them in post. 😉 No big guests. We did this very indie and on a tiny shoe-string budget so we really couldn’t swing anything like that. Yet. I’m really hopeful for a season 2. I think a lot of it depends on the response that we get from season 1, which so far has been great. It also depends on whether we can fully finance it or not. We’ve had some nibbles so far but nothing on paper yet. Keep your fingers crossed. Will season 2 take on another story line or direction? Hard to answer that without spoiling anything. I’ll just say that by the last episode, the world that we built blows up and there’s a lot of options that it gives us. Any advice for anyone who wants to make a web series? Wow. That could be a book. Let me think of a few I can pull out from the million things that I learned. Oh… most important thing ever… DON’T SETTLE FOR LESS THAN THE BEST YOU CAN DO. There’s a lot of people out there trying to make web television right now. I think the ones that will make it are the ones that insist on making high-quality content. 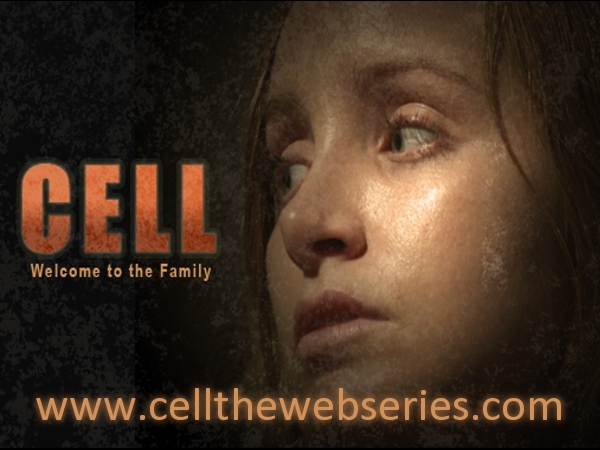 Check out the episodes on the CELL website, also follow all the scoop on Twitter @CELLwebseries.